A regal and luxurious four-star hotel, Grand Dewachen is made of local mud walls and ceilings that display the Spitian tradition in the best way possible. The hotel is designed to blend the traditional and modern. Traditional materials and forms such as stone, rammed earth, courtyard typology and recycled wood have been used in the building. This offers a thermal comfort and reduces carbon emission as well. 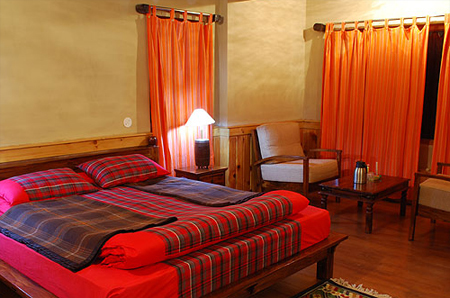 This hotel renders a serene sojourn located in a rustic and beautiful location of Kaza. 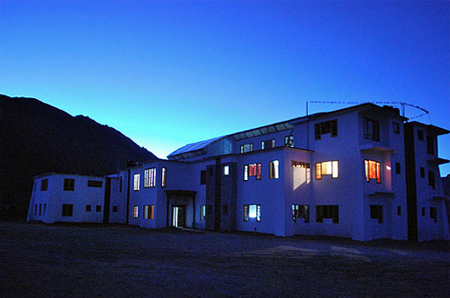 The hotel overlooks the sterile desert mountains of Kaza. The lush amenities rendered by the hotel pave the way for a memorable stay of the guests. The scrupulously planned rooms of the hotel boast fine furnishing and exquisite interiors. The rooms are well laid with first-rate amenities such as round-the-clock running water, attached bathroom, room service, telephone, etc. 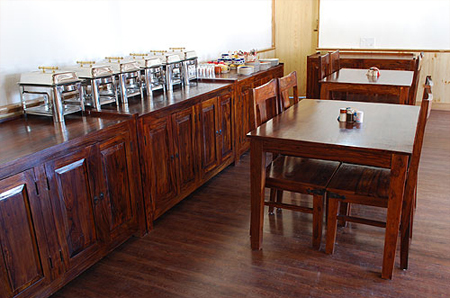 Restaurant of this hotel caters assorted menu of scrumptious dishes to the travelers. 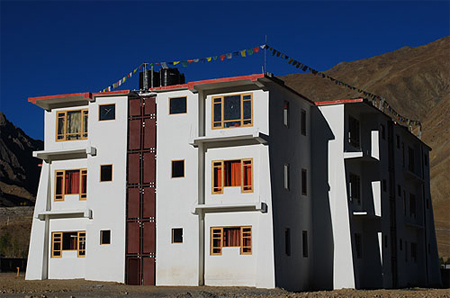 The hotel is in close vicinity from the major tourist destinations of Kaza and is among the few eco-friendly hotels in Lahaul and Spiti. 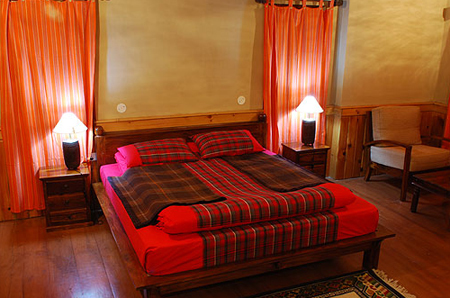 There are total 20 comfortable and well-ventilated double-deluxe rooms of this hotel. These rooms are well set with present-day facilities such as attached bathroom, telephone, television, etc. The wonderful interiors of these spacious rooms make tourists experience paramount luxury. The well-appointed and meticulously designed rooms of the hotel make certain an outstanding and convivial stay with its expressly chosen services.